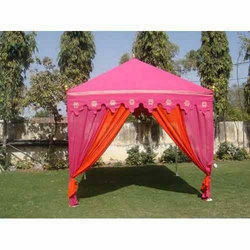 Offering you a complete choice of products which include garden party tents. We offer an aesthetic range of Garden Party Tents to our esteemed customers. These products are widely used by our valued customers for organizing outdoor party tents, event tents and wedding tents. Our product range is available in various sizes, shapes and can be customized as per the requirement of our valuable customers. In addition to this, our customers can avail these products at affordable market prices.